Meet the top executives, physicians and trustees who lead Children's. Executive team leaders are responsible for all activities of the organization, ensuring that Children’s is staying true to its mission, vision and values, and developing and executing a strategy for doing so. Our clinical operations leaders drive operational excellence and enhance the delivery of our clinical care using information and technology, change management, and collaboration and innovation. These physician leaders provide expert medical knowledge and oversight in decisions regarding Children's. This is the governing body of Children's. It is comprised of voluntary area leaders who share a commitment to serve the community by enhancing the lives of children. 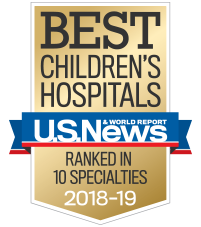 This is the governing body of the Children's Foundation, the not-for-profit organization dedicated to bringing health, hope and happiness to children by raising money and using volunteers in support of our pediatric healthcare system.